Remote towns and Aboriginal communities in Western Australia are diverse in nature and present many challenges for government, non-government and private sector service providers. A key element in meeting these challenges and ensuring essential service infrastructure sustainability is a comprehensive planned and preventative maintenance schedule. The absence of such will lead to breakdowns, failures, higher running costs and a shorter asset lifespan. In turn, this may have health, safety and environmental implications for the communities. Another key element for ensuring sustainability of the communities is the management and personal service delivery of the nominated properties and their tenants. 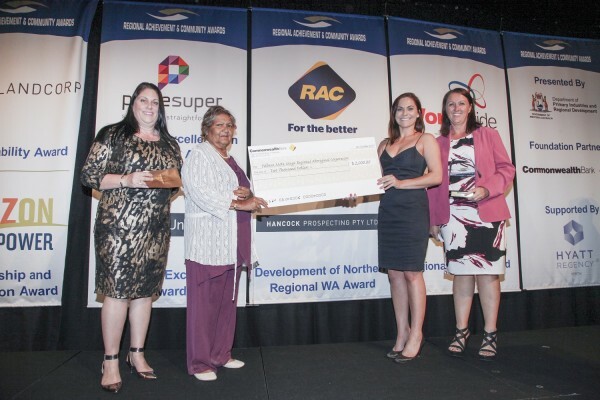 PMMRAC has been successfully delivering these services since 1994 to Aboriginal communities across the Pilbara, Gascoyne and Murchison regions and which are now being delivered to commercial business. The Essential Services team maintains infrastructure to an exceptional standard which minimises breakdowns and provides a quality and continuous service to Aboriginal communities. A key to our successful service delivery of essential services to remote communities has included the installation and remote monitoring of all types and sizes of generators, water and wastewater treatment plants and associated infrastructure. Our expertise in remote monitoring systems for our power, water and wastewater infrastructure enable us to operate and control essential assets remotely, collect detailed consumption and load data, and detect faults and breakdowns. Remote monitoring has resulted in significant cost savings for our clients through reduced breakdowns and emergency repairs. It has also enabled our clients to make informed decisions on future planning of assets through gathering of robust datasets on demand and consumption of power and water. As part of this quality service, we provide a 24 x hour emergency call out, responding to the communities’ emergency and unplanned maintenance requirements. It is imperative that all infrastructure and monitoring systems withstand Australia’s most extreme weather as the Pilbara experiences searing summer temperatures, freezing desert nights and monsoonal rains and flooding. Our Property Management team is committed to excellence in service delivery. Our success has been built on the long term trusted relationships we have with our Government Partners ensuring that their objectives are clearly understood. Establishing multiple trusted relationships within an organisation ensures commitment at every level. A consistent focus on our objectives ensure that we deliver the right level of service to the communities we serve. Property Management and Maintenance is also a service being offered to residential and commercial clients through Meta Maya Property Management.